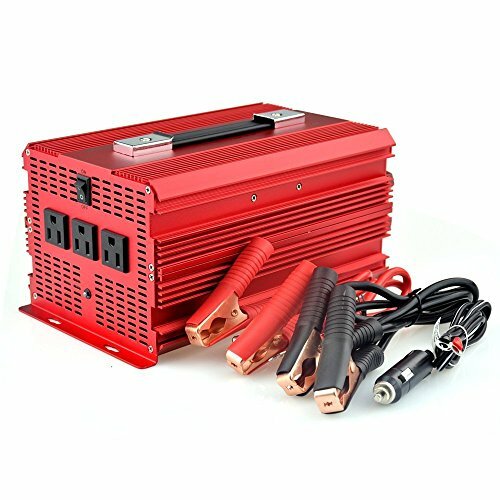 • Designed as a portable power inverter with high performance to power up multiple loads and major household appliances on the go. • Manufactured with superior quality prarts with professional customer service for end-users. • New Upgraded: Six external 50A fuses Added. Not only protects the home appliances, pumps, and motors from damage, but also be convenient to replace fuses. • The cooling fan remains on continuously. This means you'll only be able to use it in situations where the car is running. • Avoid direct sunlight or next to heat-sensitive materials to protect Inverter from getting too warm. • Caution! not to be used for more than 2000W. Hook up all terminals for 2000W total use.